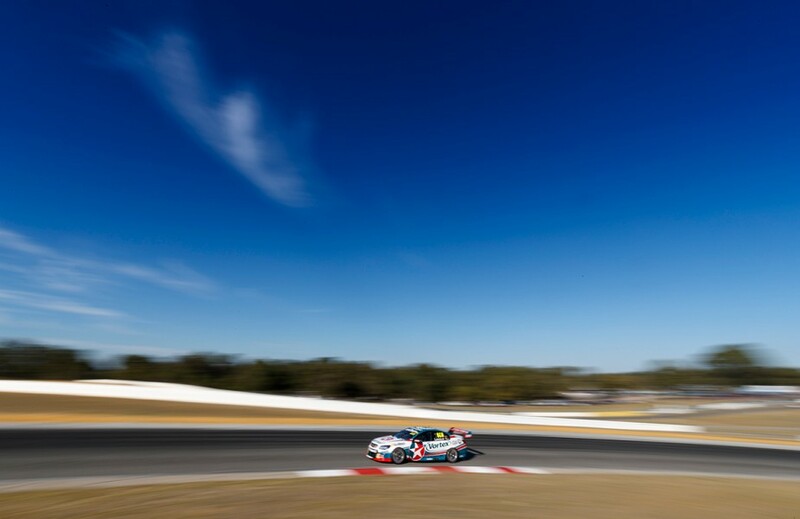 The Virgin Australia Supercars Championship heads to Western Australia and the unique Barbagallo Raceway this weekend. 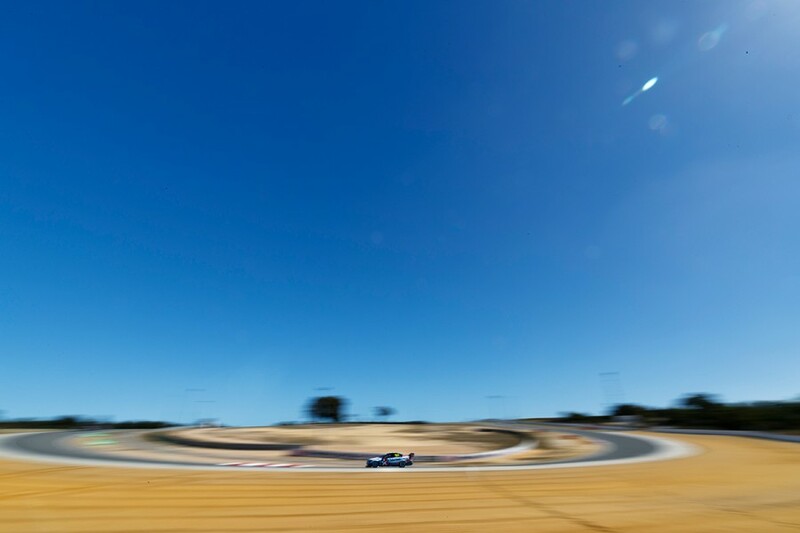 One of the shortest layouts on the calendar is paired with an abrasive track surface and sandy surrounds, making the Perth SuperSprint a challenge for drivers and teams. 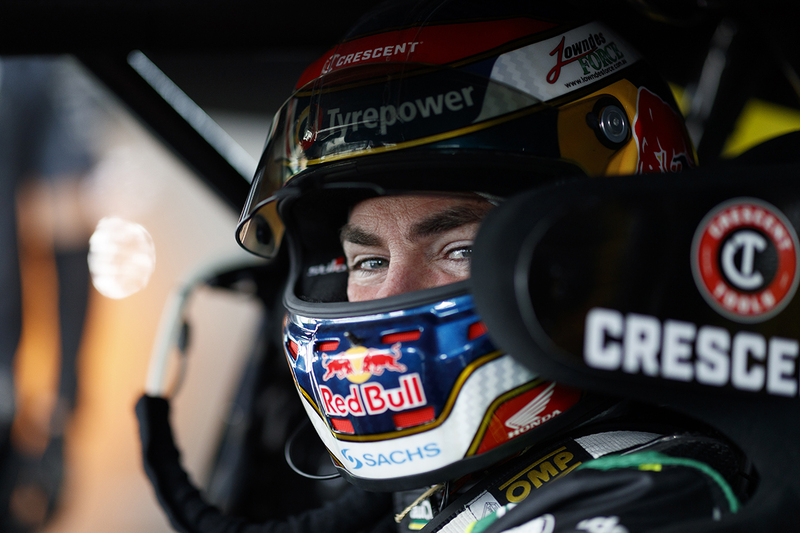 Craig Lowndes has won at Barbagallo more than any other ATCC/Supercars driver, his haul of 16 victories including 12 from his first 12 starts at the venue between 1996 and 2000. The Autobarn Lowndes Racing driver is your guide for this week’s Hino Hot Track. It’s a very unique and exciting track that, with lap times under a minute. Car set-up is important so you have a good balance, but driving the car, you need to almost glide it around the track. The Bowl, down at Turn 6, is a favourite corner of mine on the track and one of the most-important parts. It’s challenging because you don’t want to go too deep on the brakes, as then you’ll get a poor exit out of there. I’ve traditionally taken a tight line into it; it’s my style, it’s different to everyone else, but it seems to serve me well. In the first half of the lap, you’ve definitely got to manage how much you use that kerb at Turn 3. It could help or hinder you depending on what you’re looking for. It’s a famous corner for that two-wheel approach, but it can upset the balance of the car, especially going up into Turn 4, that uphill left hander. That’s a really important corner. You need to be able to hug that quite tight to then get into Turn 5 and get that run down the hill. Ultimately, the quality of your tyre will give you a lot in lap time, so strategy across the two races will be important to get right. There are essentially two styles you can opt for – especially in Sunday’s race – between a two-stopper or a three-stopper. A three-stopper obviously gives you an extra pitstop but it gives you better tyre life. Because it’s high-deg, that means a lot and I think the only way I was able to do what I did a couple of years ago was because I had a better tyre than anyone else. It really highlights that the quality of the tyre makes a big difference. The key is to have a well-balanced car. It’s a low-grip surface, so you need a car that doesn’t have too much understeer and it doesn’t have too much snap oversteer; it’s just well balanced. It’s a high-deg track for tyres, and you generally only get one good lap out of qualifying. You need to be able to have the tyres switched on for the start of the lap and then maintain that grip right the way to the end. Drive is really important. You want to be able to carry good throttle over the top of Turn 5, up over the crest, to carry the speed down into The Bowl. But then you also need a car that’s stable under brakes in Turn 1, Turn 6, The Bowl, and Turn 7, the last corner. And, by the same token, you need to be able to carry throttle and get onto the throttle as early as you can. Especially out of The Bowl; you want to be able to punch out of there, because it’s an uphill run up that back straight and it’s a great passing opportunity down into Turn 7. In my early days there, when I went back-to-back for four years straight. That’s a great memory. We know it’s a very short lap time, we know it’s a high-deg track, everything and anything can happen there, so to be able to have 12 straight wins was a great innings. We went there with great cars, but to be able to put it all together for those four years to get those 12 straight was a great, long memory of the place. 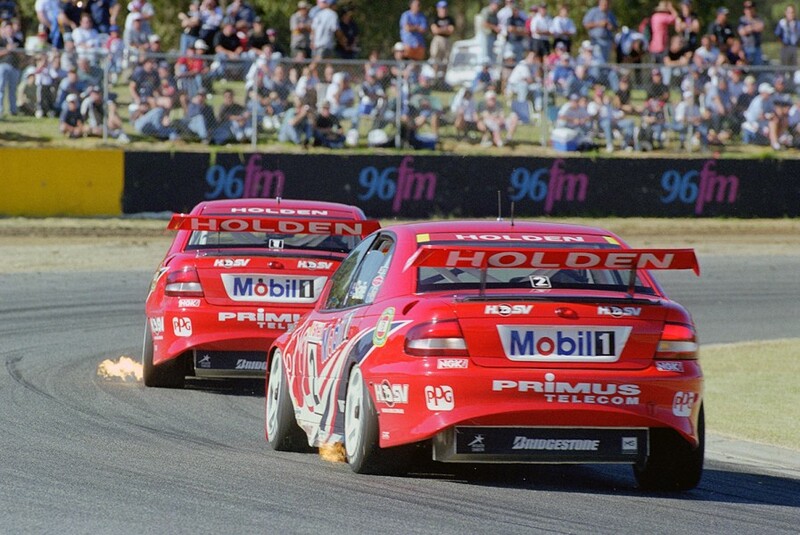 I remember having great battles with Mark Skaife, during our HRT days. We were one-two on the line a couple of times and I don’t remember how many times but he’d outqualify me so he’d be on pole and I’d be second, but because you’re on the raceline you get a better start and go onto win the race. 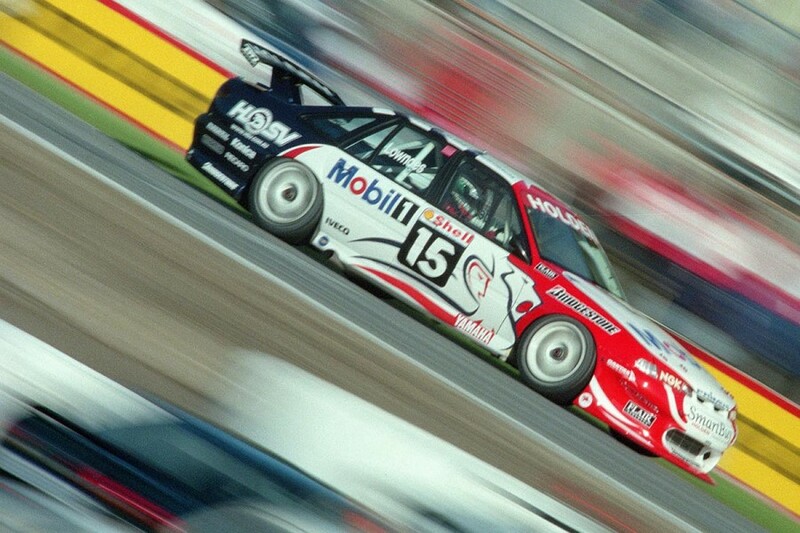 We had great memories and great battles with Skaife there, that’s for sure.